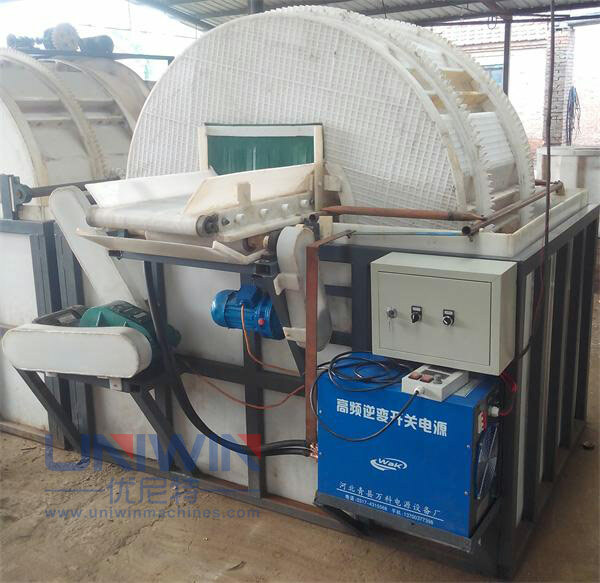 Drums type galvanization equipment is our new type galvanizing equipment, one side is inlet, another side is outlet, just feed the nails into drums, the drums will rolled automatically, after finished galvanizing, it will discharge the nails automatically, no need switch the door. The process flow of galvanization: oil and rust removing—washing —galvanizing–washing—polishing–washing—surface passivation—hot washing– drying–packaging. Step 1: oil and rust removing— By Dipping in ACID drum MANUALLY. Step 4: washing— AFTER discharge from galvanizing machine, then DIPPING into water drums. Step 5: polishing— put the nails into brightener liquid to polish for several seconds. Step 8: hot washing—put the nails into hot water for washing. Step 9: drying— By putting nails into centrifugal dryer machine. The chemical liquid for galvanizing, they are non-toxic and no smell and easily to get it locally, such as kcl, Zncl, boracic acid and some common chemical powder. According to a certain proportion, mix it with water. 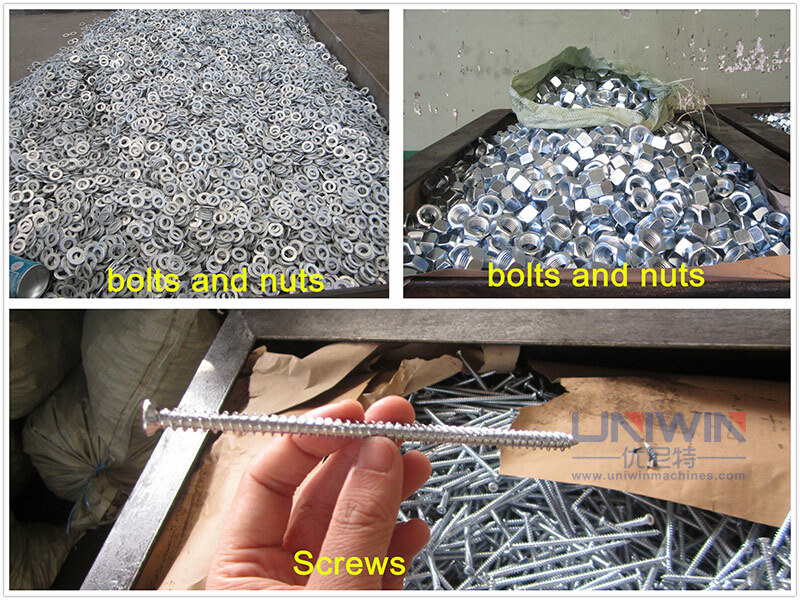 Usage: It is widely used for galvanizing roofing nails, concrete nails, wood screws, drywall screws, bolts and nuts, etc. 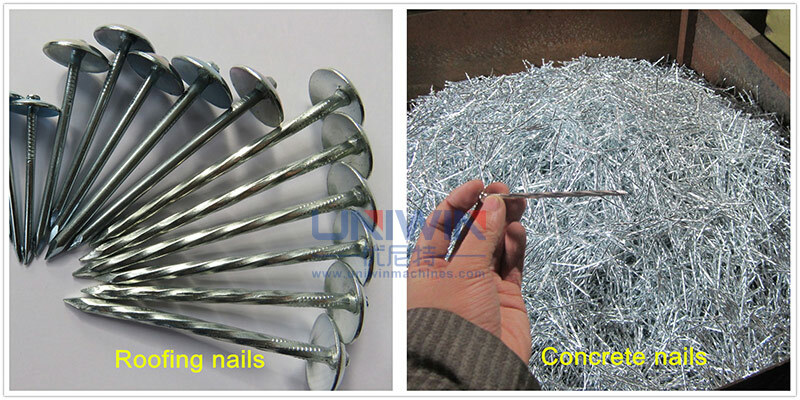 To make one tons roofing nails, it will cost around usd 20 for all cost, for galvanization, the main chemicals : kcl, zncl, boric acid etc, the galvanization factory will offer u the exact formula after place order. Advantages of our new type galvanization equipment. 1. Discharge the screws or nails automatically, no need switch the door. 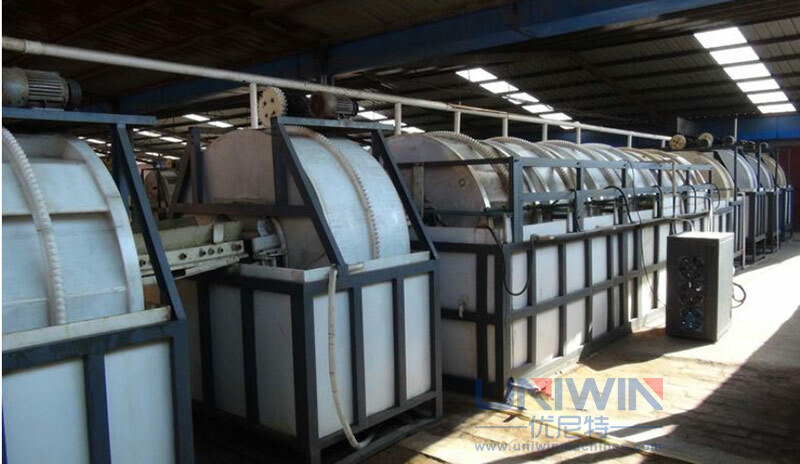 2, When rolling, force the chemical liquid convection and exchange, improve the efficiency, and can make the galvanizing effect excellent. 3, Small voltage , large electric current, energy-saving. 4, Galvanization equipment can be completely sealed (except the drive device), waste gas, waste smoke, waste fog can be collected thoroughly, avoid leakage. So far, our company has built more than 100 galvanizing plants/lines, the main countries are China, Holland, Kenya, Tanzania, South Africa, Australia, Turkey, Russia, India, Jordan, Saudi Arabia, South Africa, the United States, Egypt, Syria, Iran and so on. The advanced technique and equipment result in lower zinc consumption, lower energy consumption and excellent quality, and we are highly appraised by our customers. 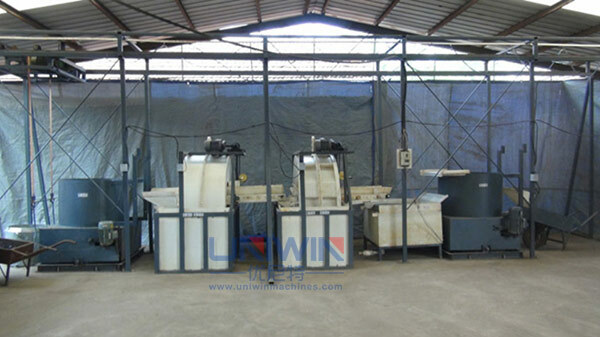 welcome to our factory, you also can bring your products to our factory for testing the galvanization effect.